GRANITE FALLS, Minn. — Pioneer Public Television’s Postcards program will air new original art, culture and history stories on Thursday, Feb. 14 at 7 p.m. 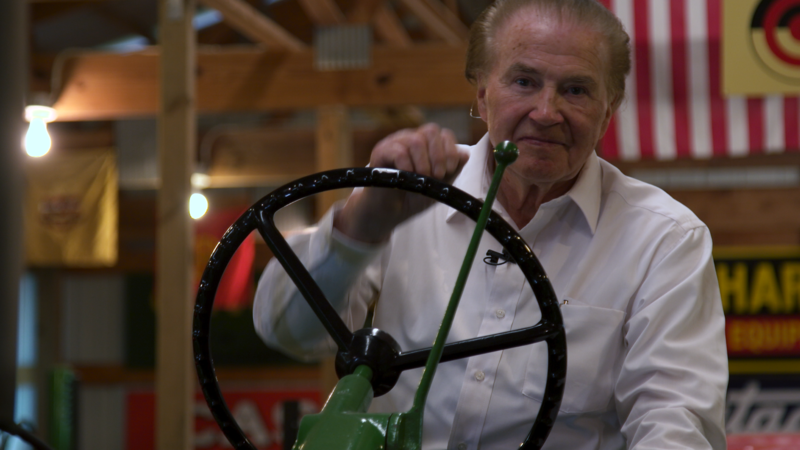 The episode will feature student artist Cheyenne Hoggarth at University of Minnesota, Morris, New London-based photographer Gregory Harp and Paul Anderson’s museum-worthy collection of tractors, cars and vintage memorabilia in Alexandria. The program will be rebroadcast on Sunday, Feb. 17 at 7:30 p.m. and on Monday, Feb. 18 at 1:30 p.m. The stories will also be available for online viewing through the station’s website: www.pioneer.org/postcards. Cheyenne Hoggarth is a mixed media artist with many of her creations centering around animals. Her exhibit at Morrison Gallery at the University of Minnesota, Morris (UMM) featured pastels, ink drawings and tattoo-styled mannequin hands that were inspired by her high school practice of drawing on her friend's hands with a sharpie. She graduated from UMM in 2018.